Ensuring that your maintenance funds are collected and managed properly is our priority. We are a member firm of the Royal Institution of Chartered Surveyors (RICS) and our services are offered in accordance with the ‘RICS Service Charge Residential Management Code’. 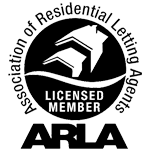 We are an accredited member of the Association of Residential Managing Agents (ARMA) and follow their advice and guidance. We are also audited by both organisations to ensure that their exacting standards are complied with. As a result of our strict regulation by RICS and ARMA, our service charge accounting methods and procedures are transparent, efficient and secure. We are registered under the Data Protection Act meaning that information will always be held securely and will not be shared with any third parties. Our accounts department includes people with a range of financial and accounting experience. The department is also skilled in interpreting and working within the terms of the leases and underleases. All our staff have regular structured training, including attending ARMA courses, to ensure that we can provide the best advice and ensure that landlords, freeholders, Right to Manage Companies, Residential Management Company and leaseholders all meet their responsibilities. We use specialist QUBE software that ensures that we are able to provide transparent and efficient reports when they are needed. We work with our clients to produce an annual expenditure budget before the start of each financial year to calculate service and reserve charges and ensure that charges are set correctly. This is a good opportunity to look at all costs and identify where savings might be made and ensure that there are no nasty surprises for leaseholders. We serve appropriate Notices and issue demands in accordance with the terms of the lease and relevant legislation for the collection of service charges and, if appropriate, ground rent. We manage many buildings with complicated service charge provisions (eg charging in advance, in arrears and with partial clawback provisions) and our accounts team are experienced in dealing with all these different situations. We set up and manage designated bank accounts for each building. Our clients’ accounts are with Barclays Bank and do not incur bank charges. All interest is credited to the properties. Where large sums are being collected for future projects we use Money Market Funds to obtain higher rates of interest. We have strong systems in place for the collection of service charge and ground rent arrears. Where necessary and with our client’s consent, solicitors or debt recovery agents are instructed in the collection of unpaid service charges. We do not charge additional fees to the service charge account for the collection of arrears – any fees are charged directly to the debt. We liaise closely with accountants to produce annual service charge accounts. These must be produced and circulated to leaseholders in accordance with individual leases.